This renowned Spanish prize, created in 1995, is given to recognize an individual who has investigated the improvement of our ecological environment. 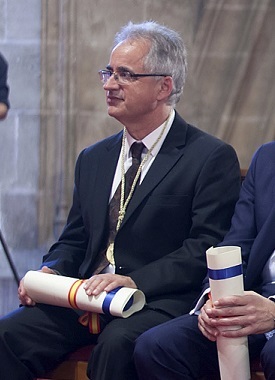 The award was presented to Josep Peñuelas during a ceremony that took place in the historic building of the silk exchange of Valencia on 2 October 2015. This entry was posted in News on November 12, 2015 by Rosa Casanovas.